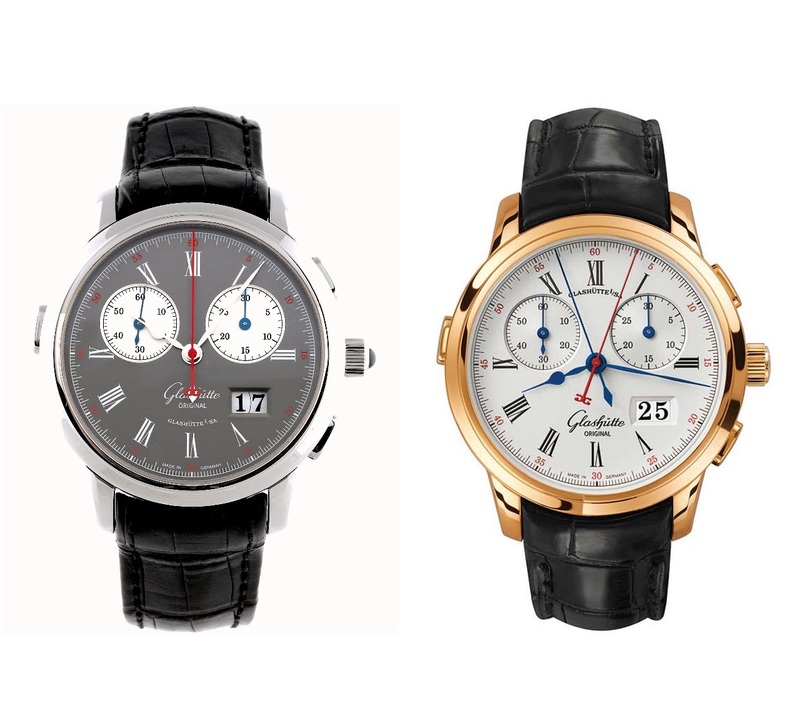 Glashutte Original - Glashutte Original Senator Rattrapante: Rose Gold or Platinum? Glashutte Original Senator Rattrapante: Rose Gold or Platinum? For me, the choice is clear as I am biased when it comes to platinum cases and ruthenium dial, one of my favorite combination. But the rose gold version doesn't lack charm. It doesn't have the level of finishings of the new Montblanc 1858 Split Seconds, Patek 5370P, but still, not the same price. And not a cheap quality watch, either. So, rose gold or platinum for you? In both metals, the Senator Rattrapante is a grand watch. How many years has it been since this metal was in production? 8 - 10 years? I like the RG in the photos but i seem to be in the minority. Maybe in person the Platinum would be my choice. But hey they are both nice and the Rattapante complication really makes the watch special. completely agree. I sold mine. My favorite case material. You could say red gold is my material de predilection. It gives watches something that adds to the magic especially with white or balck dials. The thing is to know if MB will come with a steel or titanium version next year, or if they will just make it in bronze. If just in bronze, I have no choice, I go for it. If steel or titanium, even better! BUT I will get a Rattrapante from MB... Definitely. the bronze i think is fairly unique, with some manufacturers making LE on bronze casing. I'm a fan of titanium, so I could see the case where you want to wait for more case options. I've been on the hunt for a MW rattrapante sometime, either too much $$ or at a lower px uninteresting movement or not finished well is like solving for the convex hull problem.